I, too, know how to be a dreadful, horrifying happy master. I, too, know that you cannot pick an unripe fruit and that the morning is undone in wailing while the sun gives in to infatuation, lying in its scarce sheet of clouds. I know I may lose, but there's a chance I could also end up winning. I can translate the cry of the mountains, the faint laughter of the wind, these sheer leaves touching my body. I, too, can hurt, accept, appease. My hands are intact and they inertly, reticently await. The night is soothing, the cold goes away, the river bends and I can almost see the majestic steps taken in the dark, the good-bye kisses in busy airports, the awkward hugs that only fill in the void of politeness. I know that losing yourself is just as necessary as finding yourself. I know that which affects me can also reach you at some point. Dreaming isn't something bad that must always assault you. Dreams are a gateway to our imagination. They build up our strength and character. Dreams cannot be measured or compared. They're nothing but a living substance that shapes our soul, speaks the same language of our unconscious mind, and believes in the magic of a miracle that can happen at any moment. I dream without the so-called fear poking me. I simply dream with the freedom on the palm of my hands. 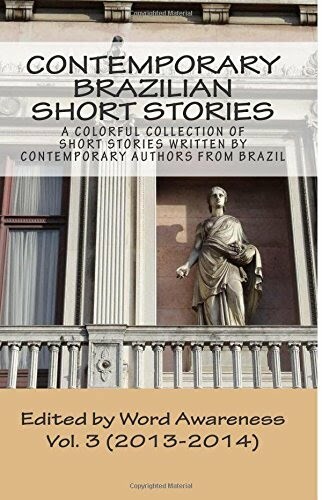 She attributes her passion for writing to the first time she read a line by Manoel de Barros, which goes "There is no salvation away from poetry." Her strong belief in those words has kept her writing in her spare time since then. She has entered her stories and poems in literary competitions, receiving several honorable mentions. One day she intends to transform her blog Mente Divergente [A Deviant Mind] into a book.